Francois Joseph Nadermann: (b Paris, 12 Feb 1781; d Paris, 3 April 1835). Harpist and composer, son of Jean-Henri Naderman. He was the most celebrated member of the family. It has been suggested that he was a student of Krumpholtz, but although the latter was closely associated with his father it is unlikely that the young Naderman studied with him at anything but a superficial level since Krumpholtz committed suicide in 1790. Although not otherwise known as a harpist, his father may have been his teacher, an H. Naderman being named as having performed the difficult Sonatas no.5 and 6 of Krumpholtz in 1785. For composition he was a student of Desvigne. Naderman lived through a period of immense change, but he seems to have possessed a remarkable ability to adapt to any and every social situation. His first compositions were published in 1798, and their dedications to his aristocratic pupils indicate the social milieu in which he moved. His sets of variations and potpourris demonstrate an awareness of the music of his contemporaries, and include arrangements of music by Boieldieu and Lesueur, including two suites based on Lesueur’s opera Ossian ou Les Bardes. Later, he composed a Rossiniana and Variations on La Gazza Ladra. Three sonatas for harp with violin and cello were dedicated to Dussek, with whom Naderman made one of his rare public appearances in a concert at the Salle de l’Odéon on 22 March 1810. In 1818 another group of three sonatas was dedicated to Clementi. From 1813 Naderman was successively harpist to the royal chapel and harp soloist to the Emperor. After the Restoration (1815) he, his brother and mother were named harp makers and music sellers to the King, and François-Joseph himself was appointed the King’s chamber composer and first solo harpist. He was made a Chevalier of the Légion d’Honneur in 1821, and finally, in 1825, he was appointed to the Paris Conservatoire as its first professor of harp, his brother (3) Henri acting as his deputy. His meticulously thoroughgoing Méthode Raisonnée (1825) was intended for his pupils at this institution, and includes the Sept Leçons Progressives which are still used as teaching material today. 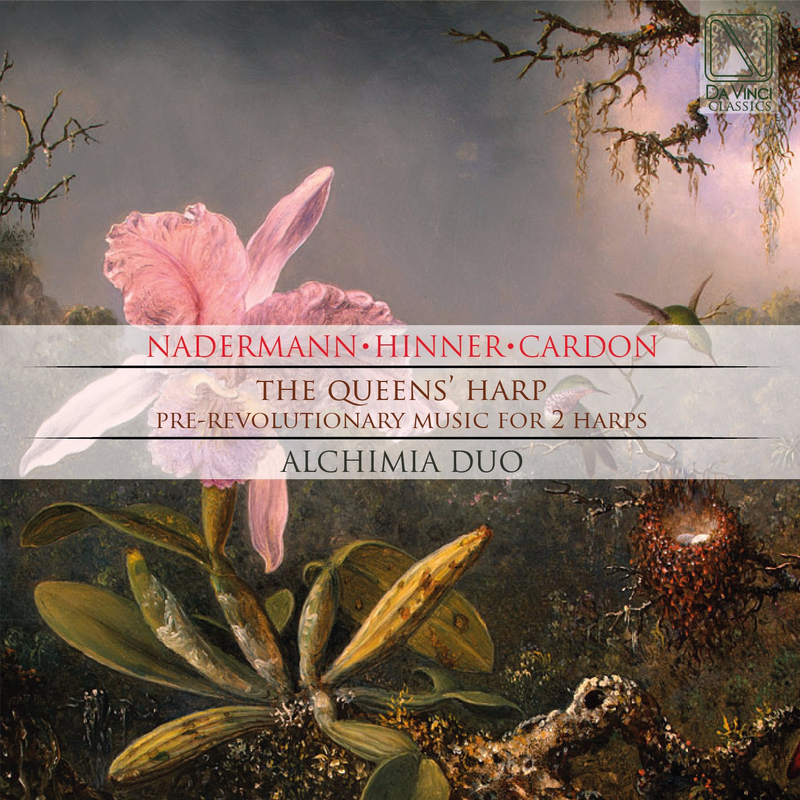 The harp adopted by the Naderman brothers for use at the Conservatoire was the single-action Naderman harp to which they would admit no superior, despite the acceptance and continuing success of Erard’s double-action harps since their introduction to England (1811) and France (1812). Jean Baptiste Cardon: (b Rethel, 1760; d St Petersburg, 11 March 1803). French harpist and composer, son of Jean-Guillain Cardon. He has often been confused with his brother, the violinist and chorister Louis-Stanislas Cardon (b Paris, 1761; d Versailles, 26 Dec 1797), for he was known only as Cardon from a singular last name on his printed works. The Cardon family moved to Paris in 1761, and by 1780 Jean-Baptiste had developed a reputation as a harp virtuoso and teacher. He was also harpist to the Countess of Artois, to whom he dedicated four sonatas, op.1 (1780). In 1786 he dedicated his four harp sonatas, op.7, to Queen Marie-Antoinette and, after visiting London in 1785 dedicated four more sonatas, op.22, to the Prince of Wales. After the outbreak of the Revolution he went to Russia, where he was harpist to the royal family and their theatres (1790–93). He received 3 million rubles in payment for his service; when his contract ended he was also offered 500 rubles for his return journey. In 1791 he married Charlotte-Rosalie Pitrot, an actress at the Imperial Theatres. He performed chamber music in the rooms of the sovereign with the violinist Ferdinand Titz, clarinettist Joseph Beer, cellist Allesandro Delfino and pianist and composer Ernst Wanzura. Some years later he visited France (1802), but returned to St Petersburg before his death. Cardon composed duos, trios, airs with variations, two concertos and over 30 sonatas for the harp. He also wrote L’art de jouer de la harpe (Paris, 1785), a tutor for the single-action pedal harp tuned to the key of Eb, that includes preludes as chord and arpeggio exercises in the keys of Eb, Bb, C, G, D, A and E. His innovative style advanced the development of virtuoso harp playing.